Professor Michael Bernard Kwesi Darkoh received his PhD from the University of Wisconsin Madison, USA in 1971. He is currently Professor of Environmental Science and the Founding Chairman of the newly established International Tourism Research Centre (ITRC) of the University of Botswana. 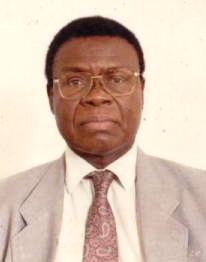 Prior to his current position, Prof Darkoh had also been Professor and periodically Head of Geography in various universities, including Papua New Guinea (1993- 1996); Kenyatta University, Nairobi, Kenya (1981-1993); University of Dar es Salaam, Tanzania (1974- 1981); Ohio Univesity, Athens,USA (1985- 86); California State University, San Bernardino, USA (1972-1974); University of Nebraska - Omaha, USA (1971-72); and the University of Cape Coast, Ghana (1966- 1971). He also taught at Achimota School, Accra Ghana (1963- 1965) and St Augustine's College, Cape Coast Ghana (1960). He currently teaches graduate courses in land use planning and agriculture and environmental change and undergraduate courses in human environment, environmental issues, economic geography, transport and environment, principles of industrialization and the African environment. His current research interests span several areas, including, environment and development, desertification and land degradation, land use and resource conflicts, arid lands development, and industrial location and development. He has served as a consultant for UNEP and the World Bank on Desertification and Environmental Assessment and Action Planning in Eastern and Southern Africa and has been external examiner for several universities in Africa, the USA, and Australia. His research output, to date, is 193 publications and include: 21 authored and edited books and special journal editions, 87 refereed scientific journal articles, 27 book chapters, 20 conference proceedings, 14 technical reports, 17 newspaper articles, and six published abstracts. Prof Darkoh's honours and awards include: University of Botswana Researcher of the Year (2004); Special Commendation for Exemplary Performance as Teacher and Researcher, University of Dar-es Salaam (1980); University of Wisconsin Fellowship (1971); and Aggrey Fellowship of the Edward W. Hazen Foundation, New Haven, Connecticut, USA (1969 – 71). His latest recognition was from Kenyatta University, which, when celebrating its silver jubilee in November 2010, gave an award of recognition for his exemplary contribution as one of the pioneer professors in the growth and development of that institution. He was for several years the Editor of the Journal of African Research and Development and the Editor of the Trans-African Journal of History. His books include: Rural Livelihoods, Risk and Political Economy of Access to Natural Resources, Nova Science Publishers, New York, co-authored with Kgathi, DL & Ngwenya, B (2010); Natural Resource Use and Land Use Conflicts: The Case of the Okavango Delta, Botswana. Lambert Academic Publishing AG &Co. KG, Saarbrucken, (co-authored with JE Mbaiwa, 2010);Tourism and Environment in the Okavango Delta, Botswana. Pula Press, Gaborone, Pula Press, Gaborone, Botswana, (co-authored with JE Mbaiwa (2006); Human Impact on Environment and Sustainable Development in Africa (co-authored with A Rwomire), Ashgate, UK (2003); African River Basins and Drylands Crises, Uppsala University, Sweden (1992); Combating Desertification in the Southern African Region, UNEP, Nairobi/Moscow (1989); Tanzania's Growth Centre Policy and Industrial Development, PETER LANG GMBH, Frankfurt (1994); Man and Desertification in Tropical Africa University of Dar es Salaam Press (1979). Dr. Obayelu, Abiodun Elijah started his educational career in University of Ilorin, Kwara state Nigeria where he obtained Bachelor Degree in Agriculture (B. Agric) in 1995. In year 2002, he obtained a Master’s degree in Business Administration (M.B.A) and a Master of Science degree in Agricultural Economics from University of Ilorin and Ibadan, Nigeria respectively. Obayelu obtained his Ph.D degree in Agricultural Economics in August 2009 from University of Ibadan. Between 2005 and 2007, he was University of Ibadan Postgraduate School Teaching and Research Assistant and currently lectures in the Department of Agricultural Economics and Farm Management, Federal University of Agriculture Abeokuta (FUNAAB) Ogun State, Nigeria. His areas of interest include: Food and Consumer Welfare Economics, Development Economics and Agricultural Innovation. He has published extensively in both International and Local journals, and has to his credit over 30 publications. Dr. Obayelu has won a number of awards and international recognitions. These include PhD Doctoral Research Award by African Economic Research Consortium (AERC) and International Development Research Centre (IDRC) in August 2009, PhD Thesis Award by Postgraduate School University of Ibadan in 2009 and United States Association for Small Business and Entrepreneurship (USASBE) recognition for outstanding service in reviewing, evaluating, and providing scholarly insights for the 2012 national conference, at New Orleans, Louisiana. 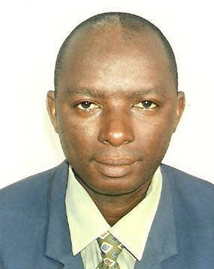 Dr Obayelu is a member of editorial board of several international journals among which are: African Journal of Economic and Management Studies (AJEMS), Emerald Emerging Markets Case Studies (EEMCS) and associate editor of the Journal of Agricultural Science published by the Canadian Centre for Science Education. He is also a member of both international and local professional bodies among these are: the African Association of Agricultural Economists (AAAE), Royal Economic Society (RES), Chinese Economics Society (CES), Emerald Literati Network and African Economics Research Consortium Network. Dr. Asita holds the degrees of B.Sc. (Honours) in Genetics of the University of Aberdeen (1979), M.Sc. (1982) and Ph.D. (1986) of the University of Wales in Swansea. He participated in, and contributed data on the Comparative induction of genetic effects in mammalian and yeast cells by ethylating agents to the 3rd EEC Environmental Programme (1981-1985) titled, “Genetic Effects of Environmental Chemicals”. In 1990 Dr. Asita was awarded the Japan Science & Technology Agency (STA) Fellowship for Post Doctoral Research at the Division of Genetics and Mutagenesis of the National Institute of Health Sciences (NIHS), Setagaya, Tokyo, where he obtained a Certificate in Mutagenicity Tests. He is a member of the JEMS.MMS Collaborative Study Group for the Micronucleus Test, protocol development. Dr. Asita has over 30 years of University teaching and research experience, which began in 1980 at the Rivers State University of Science and Technology, Port Harcourt, Nigeria. Outside of the university, Dr. Asita served as a member of the Executive Council of the Rivers State Government of Nigeria as the Honourable commissioner of Education and member of the National Council on Education between 1994 and 1996, Director of the Rivers State Government Computerized Central Salary Payment Unit (1995-1996; 1999-2001). Between May, 2002 and 2003, Dr. Asita was with the Department of Genetic Toxicology, Huntingdon Life Sciences, Eye, Suffolk, U.K. as a Study Director for the planning, conduct and reporting of non-clinical in vitro and in vivo regulatory Genetic Toxicology studies. Dr. Asita has taught Basic, Molecular and Advanced genetics and Genetic Toxicology at both undergraduate and postgraduate levels and has supervised and examined many undergraduate and post graduate research theses. His current research interest is in the modulatory effects of natural products on the mutagenicity of direct and indirect acting mutagens and the genotoxicity of pesticides. Dr. Asita is a member of, The Nigerian Cancer Society, United Kingdom and European Environmental Mutagen Societies, Japan Environmental Mutagen Society, The New York Academy of Sciences and American Association for the Advancement of Science. He is the author/co-author of over thirty refereed journal articles, book chapters, research reports and conference abstracts. Since 2005, Dr. Asita has been with the National University of Lesotho, where he is Associate Professor of Genetics and the current Head of the Department of Biology. He can be contacted at: Department of Biology, National University of Lesotho, P.O. Roma 180, Lesotho, Southern Africa. Email address: ao.asita@nul.ls and/or aoasita@yahoo.co.uk. Dr. Asita was an extremely dedicated reviewer for AJFAND. His support is highly appreciated.